Keep up-to-date with our latest news and special offers on Facebook and Twitter! Headlights are important for many reasons. On a dark night they are the eyes of a car and when it rains they become the identity of your car on the rear view mirror of the car in front of you. Soo if your car’s headlights have suffered any kind of damage you should get them fixed as soon as you can. 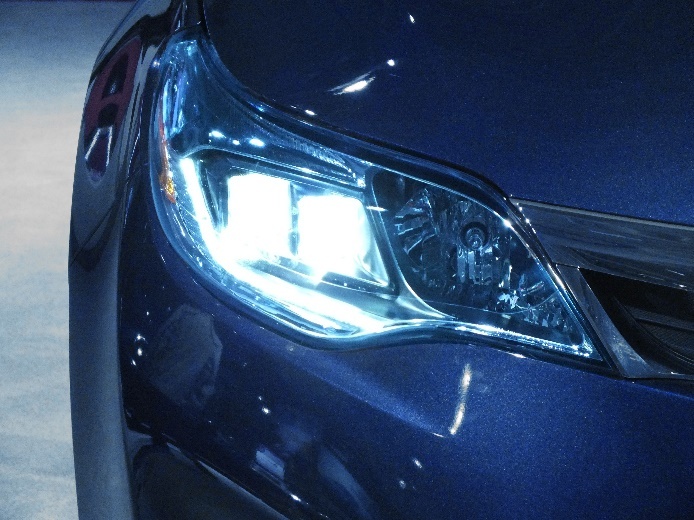 Headlights, along with enhancing the look of your car also increases the overall safety. Headlights often become cloudy and oxidised due to the wear and tear. 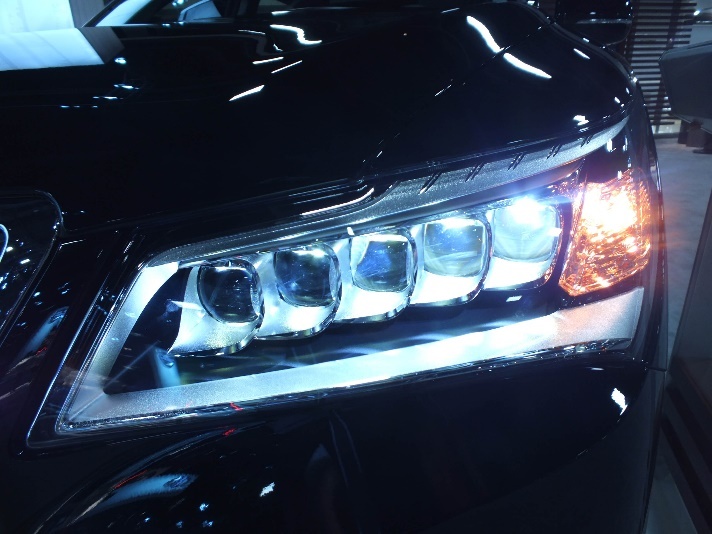 If you find that your headlights are not functioning properly then you should take your car to the nearest specialist repair shop and get them repaired. At In Town Automotive we have a team of specialists who have a wide experience of working on headlights and other systems of the car. They can assess the headlights, fix the issue with them and return your headlights to the original state. Until few years back, headlights were made of glass. This forced car manufacturers to produce headlights of a certain shape and size. Also due to their fragile nature they were not a natural choice for headlights. This led to them being replaced by the more durable and less fragile polycarbonate plastic. In comparison with glass headlights, plastic headlights are lighter and cheaper. 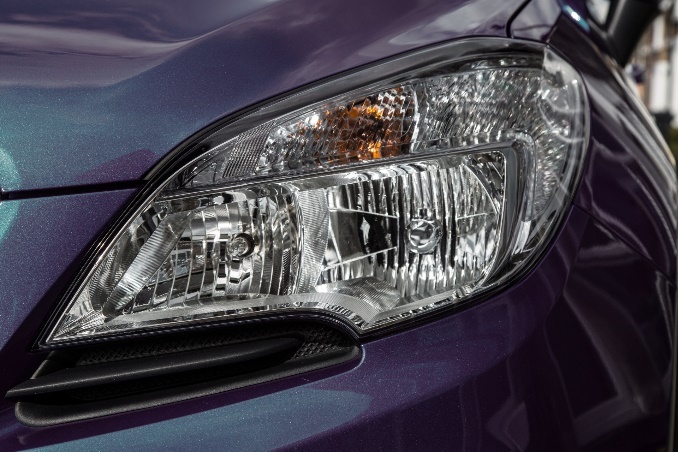 They also offer better options when it comes to the designs of headlights allowing them to put in place trendier headlights that were a better match for modern cars. Some cars still make use of glass for their headlight such as jeep, certain trucks and vans. However, most car manufacturers have now adopted plastic for making headlights. 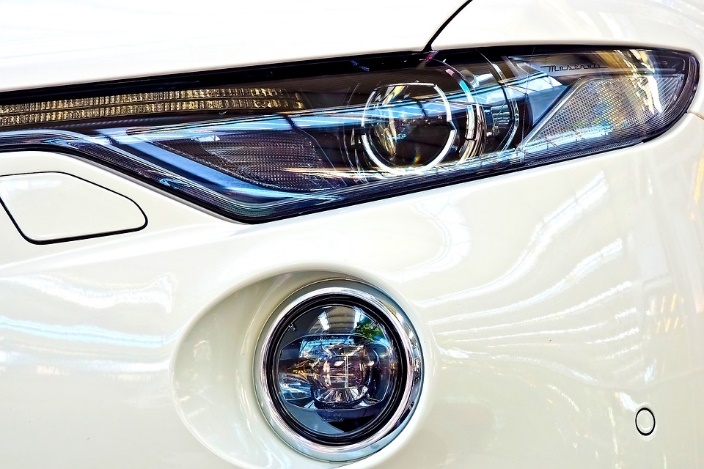 Plastic, despite its resistant and hard-to-shatter feature, is more prone to turning dim and yellow and due to this they require regular headlight restoration in Northampton services. If you do not wish to be blinded on a dark street this winter then you should take care of this problem before winter kicks in. Many people are lead to believe that once the headlights turn dim or yellow they must be replaced but this is not true. If you seek a replacement every time the headlights get obscured due to wear and tear, you may have to spend a lot of money unnecessarily. Our experts will guide you properly regarding what type of service you need for your headlights. If the headlights are in working condition and only need to be restored then headlight restoration will be carried out. If they are found to be beyond repair then you may only have to opt for headlight restoration services. What is a Headlight Restoration Service? The process of cleaning, sanding and polishing the headlights to increase the intensity of headlights is known as headlight restoration process. This process is aimed at removing all the pollutants that have accumulated on the headlight and maintaining it so that they function properly. In this process after the cleaning has been done, a clear protective coating is applied on the surface of the headlight that makes it appear like brand new. If done correctly the restoration service will bring back the original lighting of the headlights. Do the headlights of your car look scratched or discoloured? Do you find that they are a lot less bright than they used to be? If your answers to these questions is yes then you may be in need of headlight restoration services. Not restoring them in time can render your car blind. With time the headlights too, along with other systems of a car, go through extensive wear and tear. Since they lie on the front portion of a car they go through more damage due to rain, sun, sand, snow and other elements falling directly on it. This wear and tear severely limits the performance of headlights and as a result the visibility of roads is affected. This can be really dangerous and hence the problem must be fixed as soon as it is encountered. Thus if you find them to be dim, have a yellowish tint or a dull haze then it is advisable to get the problem fixed before you take your car out on the street again. Polycarbonate is an extremely hard plastic but it is also porous. Also plastic undergoes oxidation which is something that glass does not face. Oxidation over an extended period of time leads to change of physical properties of the surface of the lens. In order to preserve and protect the porous plastic from the environment the car manufacturers apply a .03 mil thick coating of silicone which is UV resistant. Through extensive wear and tear this coating eventually becomes weaker and weaker and after some time it becomes incapable of handling any further wear and tear. UV rays are responsible for a lot of damage of this protective coating and when it is completely removed from the surface it is the lens that starts taking a lot of damage. By being exposed to UV rays it suffers a lot of deterioration and the polycarbonate surface becomes discoloured. However UV rays are not the only culprit and apart from the sun the several other factors that contribute to the deterioration of headlights are humidity, acid rain, road debris, insects, vehicle exhaust, chemicals and car wash brushes. If any of these have settled on the glass of your headlights then it stops a lot of light from escaping the glass and this severely impacts the visibility on road. When visibility is poor it becomes difficult to see the condition of the road ahead and also the vehicles that are approaching us from ahead. The process of de-oxidising and cleaning cloudy headlights with some special items such as a de-oxidiser is referred to as the process of Headlight Restoration. There are a lot of precautions that need to be taken while performing the restoration process and due to these precautions it is better if the task is handled by professionals. They can easily identify whether the cleaning has to be done only on the exterior or the interior as well. Before the cleaning solution is applied to the plastic it should be ensured that there are no dust particles sticking to the surface of the plastic. A spray bottle can come in handy at this time as it can help you remove these dust particles. The plastic should then be wiped clean and dry. After this step you can apply plastic cleaning solution on the headlights with a soft cloth and ensure that the solution evenly spreads on the surface. Take a piece of cloth and wipe the plastic so that it becomes dry once again. Once the solution is completely dry and the plastic has been wiped clean for the second time you can use the car polish. In order to obtain a shiny surface it is important that you use the polish as it contains a fine abrasive. Polishing the headlight under direct sunlight should be avoided. While polishing the headlight the neighbouring plastic should be covered using newspaper and masking tape so that the plastic does not get stained by the polish. The stain that polish leaves behind on the plastic surface is extremely hard to clean. These items can be easily purchased from a local store. However these items are not of very high quality when compared to the material used by professional garages. By using masking tape you can protect the surface of plastic that is located extremely close to the headlight and in danger of being affected by the polish and sand paper. Take a spray bottle and fill it with a solution of soap and water. Spray this solution on the headlight and distribute it evenly on the plastic using your fingers. Using a cloth now semi-dry the surface of the lens. You should dry the surface completely since the polish should be applied on a surface that is mildly wet. Using the sand paper apply even pressure on the headlight while scrubbing. If you feel the need then you should wet the sandpaper. Once the gentle scrubbing is complete you should apply a plastic coat over the plastic and wipe it clean using a piece of cloth. You should use soap water solution to rinse the plastic. If you’re not satisfied with the cleaning in this process then you should repeat the above steps until they are clean enough for you. One should avoid the use of duct tape for masking as it can leave behind glue on the surface which can hard to remove. Also the surface of the plastic should always be wet when scrubbing with sand paper as doing it on a dry surface can lead to scratches. If your headlights have not been through much oxidation then you may not need to follow the steps given above. You can simply use toothpaste that is so commonly available in every household. Once again you should cover the plastic parts surrounding the headlight to prevent them from any kind of staining. This can be achieved by using masking tape. First clean the entire surface of the plastic by using clear water so that the surface does not have much pollutants on it. Put a small amount of toothpaste on a wet cloth and apply the toothpaste on the headlight in a circular motion. Next rinse off the toothpaste by applying water on the plastic surface. You should clean the surface for a minimum of five minutes to achieve good results. Even though the process sounds simple it is a task that should not be attempted as a DIY task. There are many things that need to be done carefully so as to prevent the neighbouring areas of the headlight from stains and abrasions. It is sensible to let the experts handle this task as they have a wide experience of doing this job and are more likely to achieve the desired results. If you are taking up this task as DIY simply because you do not have the required financial resources then you should apply for finance at In Town Automotive. Headlight restoration is important to maintain the look of your car from the outside as well as from the inside. To know more about headlight restoration services get in touch with us today. You should not wait for the situation to go out of hand as reduced visibility on the road can be really dangerous. Why In Town Automotive for Headlight Restoration? When you attempt such a sensitive task yourself you are putting the exterior of your car in danger of damage. The components should be used in the right proportion and this is something that a person can know only after gaining experience. At In Town Automotive we have a team of highly skilled engineers who have a wide experience of restoring headlights among the other services such as clutch replacement, tyre servicing etc. 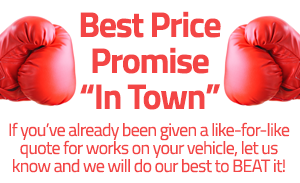 that are offered by In Town Automotive. If you want to restore your headlights to their original state then you should contact us and book your appointment now.